Chevy's sixth-generation Camaro is undoubtedly excellent, mainly thanks to a platform that manages to make it both a sporty coupe and a proper sports car. Three years on and the pony car is due for its half-life makeover. And boy is it a good looking vehicle. The 2019 Chevrolet Camaro features new front and rear ends with subtle differences for each trim level. Besides the entry-level ZL1, all Camaros get new LED-accented headlights that flow into the new grille. The bonnet has been reshaped too and SS models receive a flowtie badge and front bumper “air curtains” that, apparently, improve aerodynamics. It's what's happening at the rear that's got tongues wagging though. The 2019 Camaro revisits the quad taillights, much to the delight of fans everywhere. Offering a sculpted, three-dimensional feel, the distinct oblong shape is highlighted by the recesses in the rear bumper. There's also a redesigned bumper that, on the RS and SS models, receives a unique diffuser when the Dual Mode Exhaust is optioned. Distinctive, handsome looks aside, Chevy has utilised the GM/Ford 10-speed automatic transmission with paddle shifters, launch control and line lock features. The 1LE model receives the turbocharged 2.0-litre I-4 that makes 275 hp and 295 lb-ft of torque. It receives the familiar FE3 suspension that includes specially tuned dampers, stiffer rear cradle mounts, rear tow links with cross-axis ball joints, and larger-diameter front and rear stabilizer bars. Tyres are 245/40R20 in the front and 275/35R20 in the rear while Brembo brakes with low-metallic performance pads slow everything down. Inside, the Turbo 1LE has a standard, suede flat-bottom steering wheel and optional Recaro racing seats. The 2019 Chevrolet Camaro comes with Chevy’s latest infotainment system across all models, designed to function like a smartphone. There's a 7-inch touchscreen standard, and an 8-inch touchscreen when you opt for navigation. Chevy says the new system, called Infotainment 3, can automatically install over-the-air software updates. 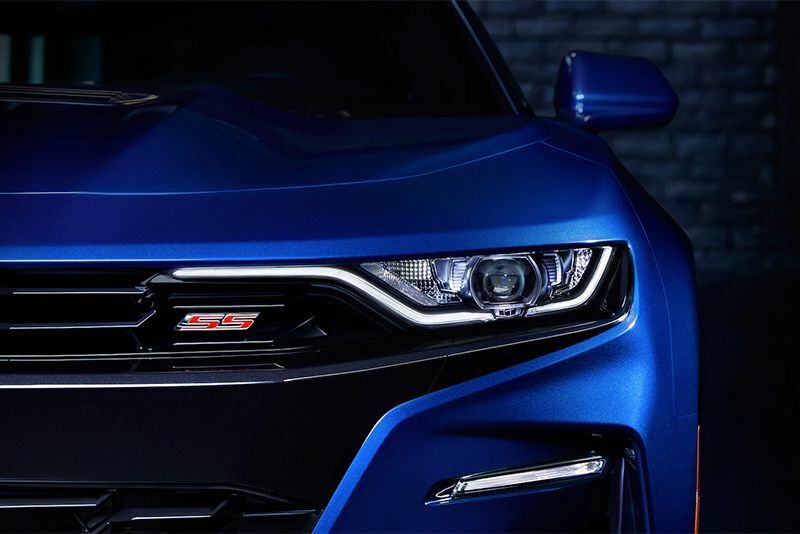 The Camaro was already a great car but with these upgrades, the 2019 Chevrolet Camaro is going to be even more so. Video: Carrera Gt Spins World's Most Expensive Donut?